Hetty McKinnon is back with another cookbook bound to be used every single day and that rejoices in gatherings with innovative, simple recipes. 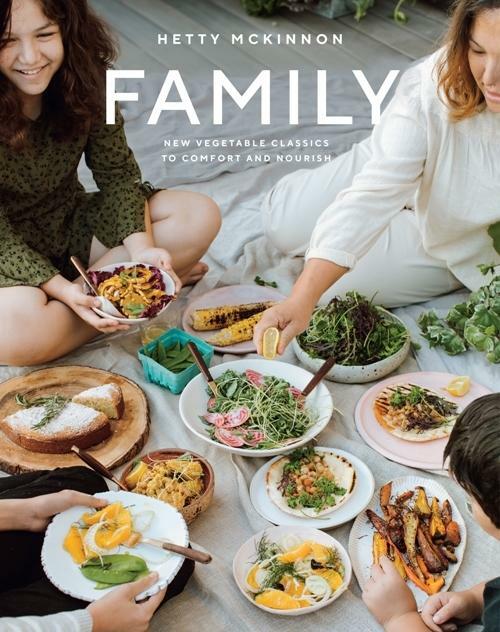 This wonderful, big-hearted collection of family-friendly recipes inspires the use of seasonal herbs and veggies. Perfect for harried parents and teenagers with something to prove. Honestly, this cookbook is Yotam Ottolenghi’s best yet. Every recipe in this gorgeous book has fewer than ten ingredients, will take no more than thirty minutes to prepare (I promise) and will be so delicious and beautiful that you will find yourself returning time and time again to the temple of Ottolenghi. Dream team Mo Wyse and Shannon Martinez are back with their second glorious cookbook. You won’t notice that there are no animal products in these recipes because all you’ll be thinking about is how mouth-watering every recipe is. Choose this book for a new take on classic dishes. This is the simpler version of The Cook’s Companion and is full to the brim with everything inexperienced ‘foodies’ need to know to become relaxed and confident in the kitchen. Stephanie Alexander also shares her wisdom on essential tools, classic cooking terms and which flavours best work together. Lateral Cooking encourages improvisation. This Choose Your Own Adventure-style tome is designed to support you to develop your own recipes from the bases of particular dishes. It is an ideal book for those that want a little room to move in the kitchen, but also need a guiding hand. Milkwood is a reminder that cooking and gardening are really about the community around us. Encouraging sustainable practices and sharing with your neighbours, this manual catalogues skills from mushroom cultivation, tomato growing, and foraging to fermenting and bee keeping. It’s an inspirational guide to living simply and generously. This principled sourcebook offers effective, constructive and sustainable alterations to your lifestyle. Both guide and manifesto, RetroSuburbia presents tales and tools for maximum positive change in your garden and home by clearly outlining the best (and cheapest) environmental practices. And best news of all, it’s actually easy. Gill Meller points out how important it is to rejoice in the modest moments of the day. This beautifully presented book includes inspirational British-centred recipes suitable for any contingency alongside personal contemplations. Meller believes that every time we make something good to eat, we make a memory. His book will help form those memories. Do not let the fact that you live in the city stop you from growing and harvesting your own food. This delightful compendium for living the good life in the city shows you how to grow the simplest food plants in the smallest of spaces and includes recipes to make the most of them. From Noma, Denmark’s most famous restaurant, to your kitchen, comes the ultimate guide to fermentation. Rene Redzepi and David Zilber run the restaurant’s acclaimed fermentation lab (!) and here have collated 100 truly inspired dishes. They are all good for you, easy to prepare once you have gathered the ingredients, and completely delicious.